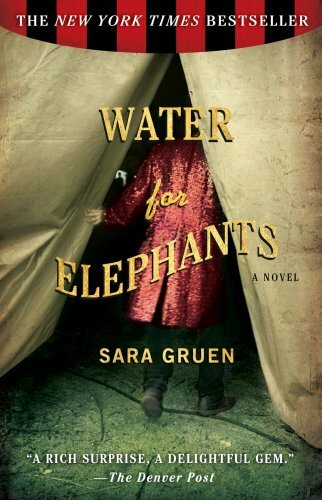 Today we are thrilled to bring you the first in an ongoing series of page-to-screen reviews and author interviews, starting with the incredible bestselling sensation Water for Elephants by Sara Gruen. Our movie reviewing Smuggler, Lavanya Narasimhan, had the opportunity to chat with the lovely Sara Gruen about her writing, her influences, and the film. I’m so excited to be able to guest review for Thea and Ana here at The Book Smugglers! I was lucky enough to get a brief phone interview with Sara, in which we talked about her love of animals, her novel and what she thought of the movie, so many of her thoughts will be sprinkled in here and there! There’s a joke in here about how director Francis Lawrence’s last movie, I Am Legend had something to do with vampires that took over the world and how the star of this movie, Robert Pattinson of Twilight fame, IS the vampire that took over the world but I’ll leave it be. Mostly because this is as far as either of those movies get. Water For Elephants is a romantic period drama set in the Depression Era with a struggling circus as its background. The story follows Jacob Jankowkski, an elderly man who leaves his nursing home to go see the circus. Once there, he begins to tell one of the staff members how after the death of his parents in 1931, he forwent his final exams at Cornell to quite literally run away with the circus. The one he happened upon was a struggling circus called the Benzini Brothers, for which he served as the veterinarian. But the real story lies in how his life changed when the circus acquired its star attraction, an elephant by the name of Rosie and when he fell in love with the violent boss’s wife, Marlena, also the star performer. There are quite a few differences between the book and movie but as Ms. Gruen said, “condensing something that takes 18 to 22 hours to read into 2 hours of screen time is such as challenge” and both she and I agreed that the filmmakers handled it ably. The most notable difference is that the characters of Uncle Al and August have been combined. This is quite effective as brings two new shades to August’s character – that of a performer as the ringmaster and the sole owner of the circus, whose financial woes laden him down. One thing I do miss is that frame story “mystery” that is set up within the first few pages of book – a whodunit with a rather fantastic twist revealed at the end–that is cut out of the movie. From Marlena’s costumes to the fantastic early scene that highlights the raising of the big top–which Sara said was her favorite in the movie–the movie is thoroughly immersed in its era. Equally affecting is James Newton Howard’s background score, which in turns captures the awe and spectacle of the circus with a childlike, magical affectation and the darker side of the men who run it. But the movie doesn’t do full justice to the book and it is the principal cast that fails to do so. Reese Witherspoon is surprisingly unconvincing as Marlena, the beautiful, strong center of the love triangle. I’ve always considered her someone who immerses herself in her character’s persona, whether as Tracy Flick in the ridiculously fantastic Election or June Carter in her Oscar winning turn in Walk the Line. But here, she appears insincere – Marlena is an ingénue-esque figure but Witherspoon appears as someone trying to play an ingénue as opposed to actually being one. Oscar winner and Inglourious Basterds scene stealer Christoph Waltz once again plays a villain, though August has considerably more shades of gray than Hans Landa. But his accent is anything but American. Without knowing any background about August, and whether he is of European descent or not, this takes away from his performance greatly. RW is sparkless. There are a few standouts – particularly Camel (Jim Norton) and Walter/Kinko (Mark Povinelli), who bring almost every shade of their characters from the book that they can. Hal Holbrook as the elder Jacob is particularly wonderful, even in his reduced role, but the problem he’s more fiery as the old, world-weary Jacob than Pattinson ever is as his younger counterpart. Jacob is the guide through the novel – it’s his memory that leads us, and the movie is structured similarly, but an uneven Pattinson makes it hard to ever really root for him. He is certainly pretty, and when he loses what seems to be a self-consciousness, he has a certain charisma, but it only shows up in flashes. Equally disappointing is the complete lack of chemistry between Witherspoon and Pattinson – the actors have more chemistry with the animals than with each other. But that might be because, as Sara said, “The star of the show and the book [is Rosie. ]” Brought to life by Tai the elephant, the scenes with Rosie do not disappoint–you do feel the kinship to this majestic creature that Jacob does, as well as the fierce protection of this almost and at the same time more than human animal. Those who liked these scenes in the book will enjoy them in the movie, and I thought the scenes where Pattinson was training Rosie were rather lovely. Water For Elephants is by no means a terrible movie, but it does suffer from not meeting expectations due to how beloved its source material is. Its high production value just isn’t matched by its performances or the weaknesses of the romance, which drives the storyline. In the end, the movie is a lot like Pattinson – pleasing to the eye and occasionally charming, but a little dull and only felt on a surface level. Additional Thoughts: The Blu-Ray version is particularly visually pleasing for all the costuming details. It comes with some extras, including an Exclusive Robert Pattinson spotlight, Feature Performer Reese Witherspoon, Secrets of the Big Top, The Travelling Show–Page to Screen and director commentary. Rating: 6.5/10 – It’s an alright way to spend two hours, even though you’ll be very aware that it really is two hours. 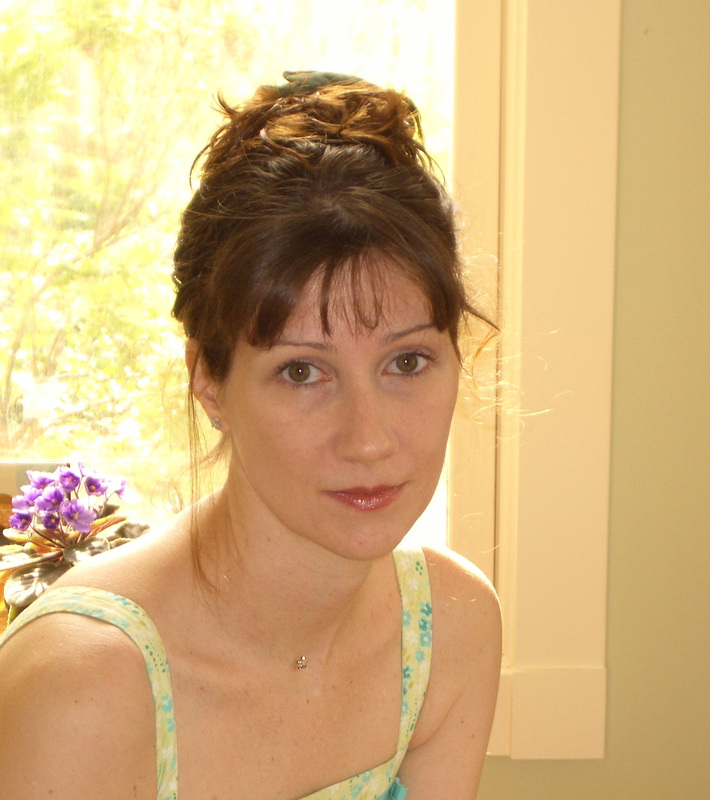 Aside from the Water For Elephants DVD review, I got the chance to talk to Sara Gruen about her life and her upcoming book, the transcript for which I’ve included below. The Book Smugglers: Thank you so much for taking the time to chat with us! From Riding Lessons to the WFE to Ape House, all your novels center around animals. What is it particularly about animals that you love to write about? SG: I didn’t realize I wasn’t like everyone else–people ask me have you always been like this, into animals, and I really have. I think it was when I was a little older of a kid that I realized how much more I liked and maybe related to them than other people. My house is like a zoo–three dogs, three dogs, two horses, a goat, some fishes, a bird. Plus a husband and three sons! The Book Smugglers: Wow! That must make for some interesting stories. According to an article I read in the New York Times, you studied elephant body language and behavior with a former handler at the Kansas City Zoo. Can you tell us what you learned about elephants and how that shaped the Rosie character? SG: Rosie was always the star of the show and the book. But I’ve always loved elephants, love how intelligent they are and the sophisticated communication they use. I’d never gotten up close with one until this experience but mostly I just stayed back and just watched and took notes. It was little things like the way elephants “tasted” using their trunks and how they ambled. It was really eye-opening to watch elephants being elephants, not doing something for the humans they were around. The Book Smugglers: You told us the story through Jacob’s eyes, but did you ever consider using a different point of view? Marlena’s? Maybe even Rosie’s? SG: You know, I actually considered writing a scene from Rosie’s character. But I couldn’t give [an elephant] English language. I didn’t want to anthropomorphize animals and put human characteristics on them. So much of communication is body language and you can see that in people AND in animals. But it’s particularly important in animals because we don’t share their language so that’s why I didn’t do that, in the end. The Book Smugglers: Water for Elephants is now a major motion picture. From the author’s point of view, what was your favorite part? What surprised you when you watched it, even though you know the story so well yourself? SG: There was so much–I loved that my husband and sons got cameos. The poor things shot when it was over a hundred degrees in Sarasota and they had to wear undershirts and wool vests. I was in the scene where Rosie steals cabbages when she goes into town; I’m a white dress with red polka dots. The make up artists changed me completely! The movie used the same sources and circus historians that I did and I got to go on set and meet them. I had such a great time. I think my favorite scene in the movie is when they’re first pulling up the big top–something about the music and the way it was literally coming to life in front of my eyes just made me get all nostalgic. And I was so impressed–condensing something that takes 18 to 22 hours to read into 2 hours of screen time is such as challenge. But I really thought the idea of combining Uncle Al and August was genius. The Book Smugglers: What inspired you to write Water for Elephants? SG: It was actually a picture taken in 1920’s before the crash; soon after that I read about jake-leg and how it had affected so many people and I realized I wanted to incorporate that. It came together like that, to include real history with the fiction. The Book Smugglers: But you wrote about a struggling circus rather than a rich one. SG: Yeah, I really liked that idea. A circus was judged by the number of elephants it had and this one had none! The desperation in that life was something I wanted to cover. The Book Smugglers: Can you tell us about what you’re working on next? SG: Sure! Well, I’m not sure how much I can say! I’m currently in the middle of writing something. It’s set in WWII, during the end of it, in the Scottish highlands. I write pretty organically so I can’t say more, but I really love it. One of the biggest perks of this job is that you can get a passion and then just study and write about it for years. It’s great. The Book Smugglers: And lastly, a question we ask all our authors: Have you ever smuggled books? SG: Not recently. Judy Blume’s Wifey a long, long time ago. But luckily my husband is a bibliophile, so we just get more and more bookshelves! Thank you to Sara Gruen for the interview! 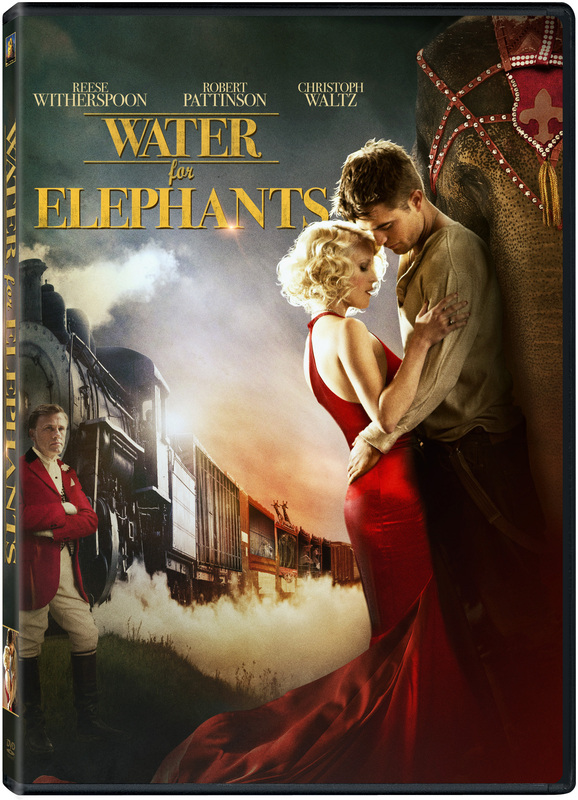 Water for Elephants is available on DVD and BluRay now. Nice work you have done, great interview you share with Sara on your blog, like your work. http://google.ca Thank you for this fantastic web site. I’m attempting to go through some a lot more posts but I cant get your web site to display appropriately in my Opera Browser. Many thanks again.